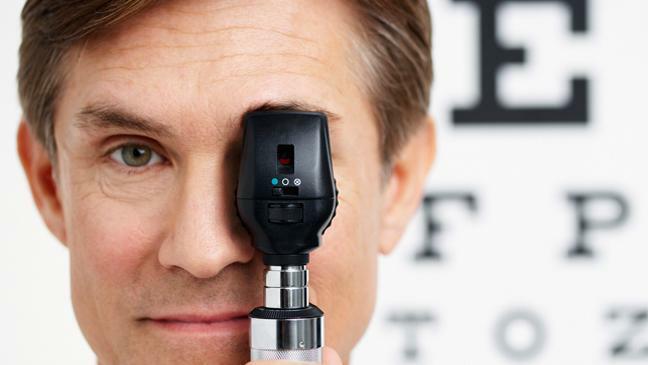 Sight problems aside, eye examinations can detect a range of serious diseases. They may be the windows to the soul, but eyes can also give a clear view of what’s occurring in less ethereal parts of the body. In fact, an eye test could reveal a life or death situation. As well as detecting vision problems and eye diseases, such as glaucoma or macular degeneration, they can sometimes also reveal whether you’re suffering from a number of serious health conditions. Kelly Plahay, chairman of the Eyecare Trust, comments: “Poor uptake of sight tests is probably the biggest risk to the nation’s eye health,” she says. “Around 20 million of us fail to have our sight tested once every two years, yet a simple sight test can detect glaucoma years before you notice lost vision, and many childhood eye conditions which can be permanently corrected if diagnosed early enough. Around 750,000 people in the UK have undiagnosed diabetes, according to Diabetes UK. Symptoms of Type 2 diabetes can creep up very slowly and are often dismissed as normal tiredness, or just part of growing old, but Dr Schallhorn points out that he’s diagnosed cases from eye tests. High blood-sugar related to diabetes can cause problems in the small blood vessels resulting in diabetic retinopathy, which can lead to blindness. An optometrist will be able to spot early characteristic changes, such as tiny leaks from damaged blood vessels. “Nowhere are the blood vessels more important than in the retina at the back of the eye,” explains Dr Schallhorn. “Eyecare professionals have a window to look at this, and we can see very early signs of diabetes and the effect it has on blood vessels in the back of the eye. “You don’t need to go blind with diabetes; it’s treatable and the key is to pick it up early,” Dr Schallhorn adds. Not only that, but the sooner diabetes is detected, the sooner it can be treated or managed, meaning other potential complications – including ulcers, kidney and heart damage – can be prevented too. Effects of high blood pressure – a condition which affects one in three UK adults but is often symptomless, and is linked with stroke, heart disease and vascular dementia – can sometimes be seen inside the eye. This is because the force of blood passing through blood vessels in the retina can cause hypertensive retinopathy. Blood vessel walls may thicken, narrowing the vessels and restricting blood from reaching the retina. In some cases, it becomes swollen and its function is limited, and there may be bleeding behind the eye. Because of the high blood flow at the back of the eye, excessive cholesterol – which is linked to cardiovascular problems – may also be spotted there, looking like deposits in the blood vessels. Although arthritis is characterised by joint inflammation, autoimmune forms of the disease (like rheumatoid arthritis and ankylosing spondylitis) can affect other parts of the body including the eyes, and the inflammation it causes can be spotted in eye tests. Although not available yet, it’s hoped that a simple eye test could soon be used to identify the early stages of Alzheimer’s disease. Researchers are looking at whether warning signs can be detected using special computer software to analyse images of the eye. Trucco says the research promises early warning in a non-invasive way, and the test, which will identify differences in the retinal vessels, may even be able to differentiate between different types of dementia. The eye has a large blood supply relative to its size, says Dr Schallhorn, and for this reason, certain types of tumours can spread to the eye, as well as primary tumours developing there – although this is rare. Brain tumours can also be spotted in an eye test, sometimes through swelling of the optic nerve linked to pressure from the tumour.